Skunks are mammals, usually with black-and-white fur, that are best known for their ability to excrete a strong, foul-smelling odor. Skunk species vary in size from about 15.6 inches (40 cm) to 37 in. (70 cm) and in weight from about 1.1 lb. (0.5 kg) (the spotted skunks) to 18 lb. (4.5 kg) (the hog-nosed skunks). They have a moderately elongated body with reasonably short, well-muscled legs, and long front claws for digging. 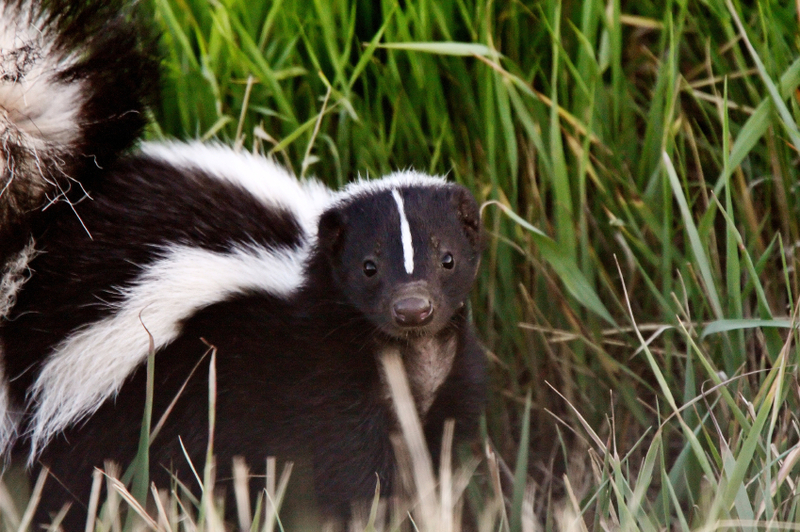 Skunks causing problems in your lawn or garden? In search of grubs, skunks can cause much damage digging up the turf in your yard. They can also make their home and live under decks, sheds and the like. 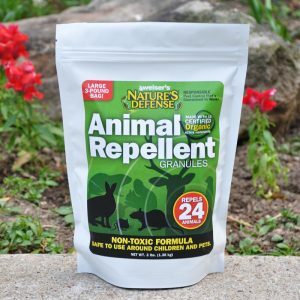 Nature’s Defense is the most powerful form of Skunk Control available today and your natural solution that is easy to use and guarenteed to work. Now you can use the same research proven formula that professionals use as part of their animal control business. 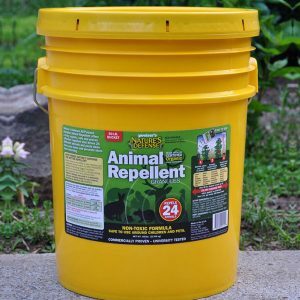 Controlling skunks is easy by simply sprinkling Nature’s Defense organic formula around the area you want to protect; your skunk problem will be solved quickly and easily. 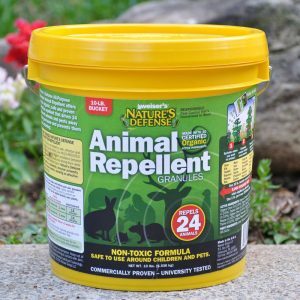 Sprinkle Nature’s Defense granular animal repellent directly over and around the areas that the skunks are causing damage too. Apply Nature’s Defense twice a week for the first two weeks, then once a week for maintenance.